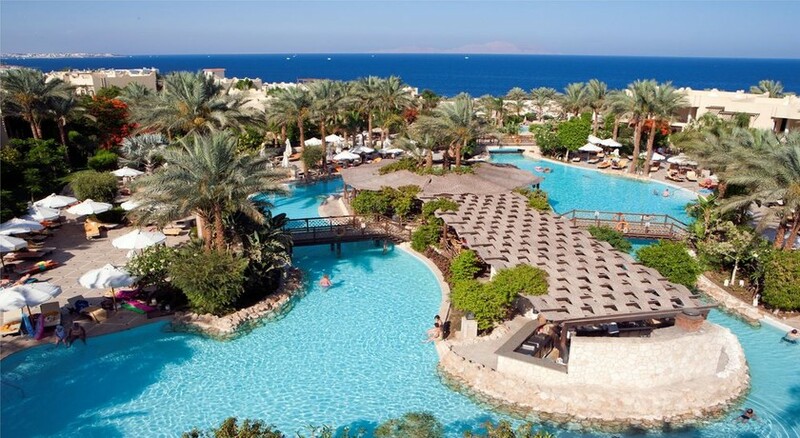 The Grand Hotel is a 5-star hotel located on a high plateau and thus boasts beautiful view of the red sea. The hotel features 8 outdoor swimming pools, private beach, beach volleyball, Belly dancing and Arabic courses and other entertainment programs. There are 627 rooms equipped with air conditioning, minibar, satellite television, telephone, safe and hairdryer, There is a balcony or terrace and a private bathroom inside the rooms. The Junior suites feature balcony or terrace with sea, garden or pool view. 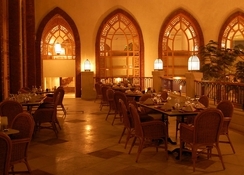 The Grand Hotel offers buffet as well as a'la carte options to its guests. One can enjoy breakfast and dinner buffet at Sharm restaurant, breakfast and lunch buffet at Reef restaurant and dinner buffet at El Sheikh. The Pool Grill snack bar serves grilled delicacies, pancakes and waffles can be enjoyed at Crepe & Sweets, different types of sweets and ice creams can be enjoyed at Pool Bar Spa, and Sandwiches are served at Panini Corner. 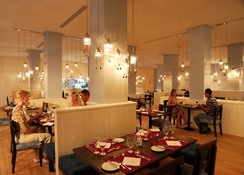 A'la carte is served at the Beach Club, Cliff, Tapas, Fusion and Olive restaurants. The Beach Club has Californian lunch and Caribbean dinner, Cliff has seafood and Olive has Italian cuisine on its menu. Alcoholic and soft drinks are served from 10am to midnight. The Grand Hotel features 8 outdoor swimming pools and a separate pool for the children. One can enjoy water gymnastics, organised by the hotel staff. Guests can also enjoy playing billiards, table tennis and beach volleyball. The hotel staff also arranges for aerobics if requested for. Belly dance classes and Arabic language courses are also conducted at the hotel. Guests can also enjoy the live music and other evening entertainment programs organised by the hotel staff. 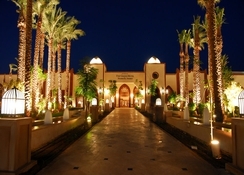 The Grand Hotel is located around 18 km away from Sharm El Sheikh International Airport. 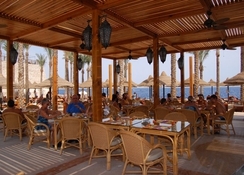 Places like The Half Crown, Sharm Life Day Tours and Pizza Safari Excursions are near to the hotel.